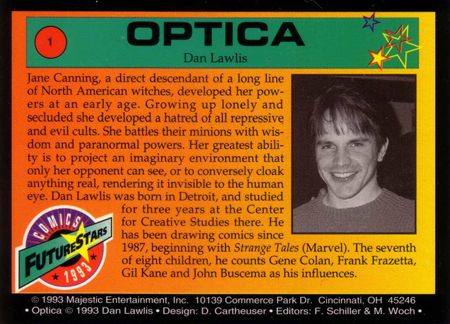 Artist Dan Lawlis was the first to respond to my ceaseless harassment of artists from the Comics Futurestars 1993 trading card set. I bugged him about life, art, and other stuff. 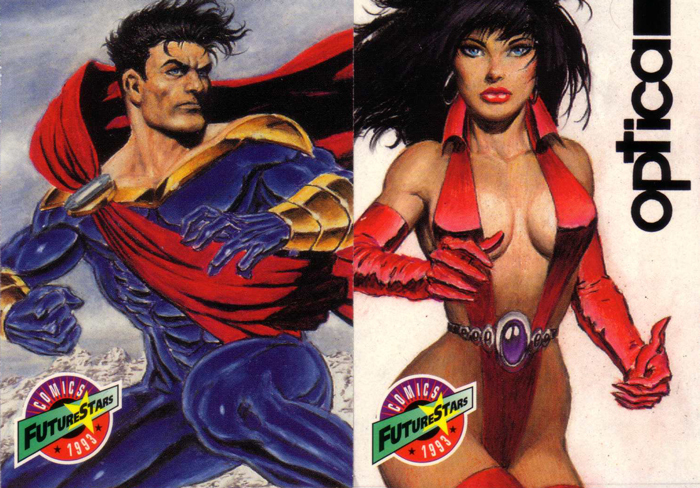 MSI: When you were creating these Comics Futurestars cards in 1993, where did you see yourself in twenty years? How has your path followed or diverged from that? Dan Lawlis: I really didn’t see that far down the road. Probably I just thought, “This is what I love to do, and I would do it for the rest of my life.” What changed was the comic book industry boom and bust in the late ’90s. It was tough to get work, and I was struggling from job to job. 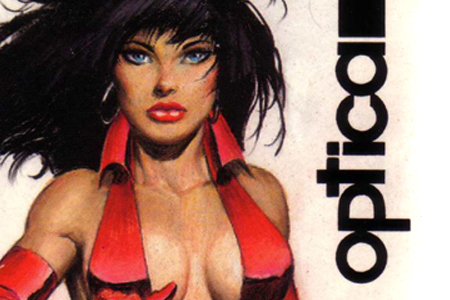 As it turned out, comics were tough for me to make a living at, and I was getting frustrated. It was only then (ten years in the industry 1987-97) that I looked down the road and asked myself, do I really want to be 60 years old, struggling and desperate to get comic book work that paid so poorly? Also, I was starting a family and had to face the reality that I needed more money to take care of them, and I was basically freaking out about what I was going to do and looked for alternatives. I wanted some options, I didn’t want all my eggs in one basket. So, I looked for where my skills would best be used. That turned out to be advertising and TV storyboard work. Advertising work is the thing that pays the bills. I’m not rich, but I’m not struggling as much, and I can set some money aside for retirement. MSI: Taking a look at your art from twenty years ago, what would you tell your younger self, if anything, about your artistic technique or approach to comics in general?Dan Lawlis: I wouldn’t change that much. My approach to comic book work is a dynamic realism in the traditional Marvel style of John Buscema, Jack Kirby, Gil Kane, Gene Colan etc, that works well for advertising. I think a lot of the artists today would have a much harder time trying to go into TV storyboards because of the anime styles. Those styles don’t translate as well as the traditional realism. You need to be a more realistic artist for TV storyboards because you are drawing real people in real situations.The only thing I would say to my past self is artistic mistakes, like “that face is too wide,” or “that leg is too short.” My approach and my style hasn’t changed that much overall.MSI: Would you ever want to revisit your Futurestars creation now, two decades wiser? 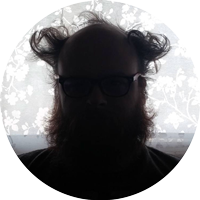 Dan Lawlis: I’m most interested in my personal comic book work. My Orange Peel 3 character is a result of being in an industry that frowns on religious characters [and] my character happens to be Christian. I wanted to be completely free artistically to express myself, and say whatever I wanted to say. 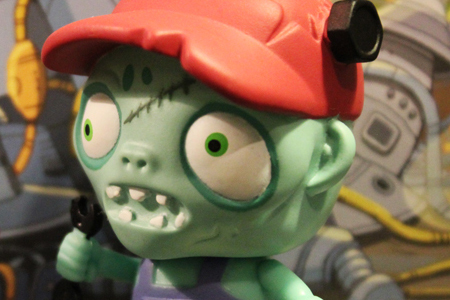 MSI: What project or moment has been the highlight of your creative career? Have you reached the goals you’d held in 1993? 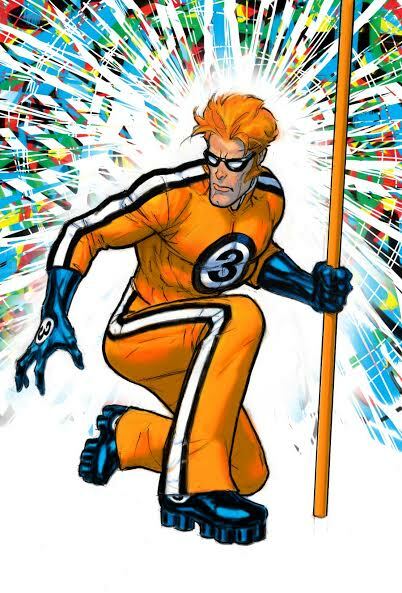 Dan Lawlis: Again, it would be my Orange Peel 3 comic. I sort of had the idea of doing a Christian character back then, but I wasn’t ready to handle it. It was something that was forming in the back of my mind as I went. The funny thing is I don’t really consider myself any kind of religious fanatic—I rarely go to church and I rarely discuss religion outside of my comic book public persona. I just didn’t want to do another comic where everybody beats the living daylights out of each other, and they don’t think about anything deeper. I gotta think and talk about things deeper and more spiritual if I’m going to do all that work on a comic book. MSI: What would you want to tell today’s “future stars of comics”? Dan Lawlis: Be careful when you hear people say, “you can be whatever you want to be.” I would adjust that to, “you can try to be whatever you what to be.” You must also be a realist and recognize limitations. Growing up means you can’t get everything you want, and it probably would be bad for you if you did. Have fun, and pursue your dreams, but in the end life isn’t about comics, it’s about people and relating to each other as best we can. 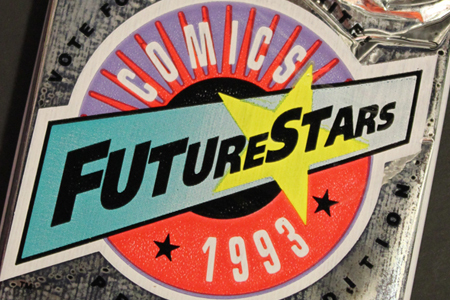 MSI: Bonus question – how did you get involved with the Comics Futurestars trading card set? Dan Lawlis: That happened with my connection to Fred Schiller and Valerie Jones. I knew them from my very first work ever for a company called Spectrum Comics. They brought me in and I really got involved in the process. They had me flown in to Cincinnati to see the folks at the baseball card company they were involved with, and we went forward from there.